An Orient mix of ginger, coriander, shallots, chopped lemongrass, crushed lime leaf, garlic and red chilli. 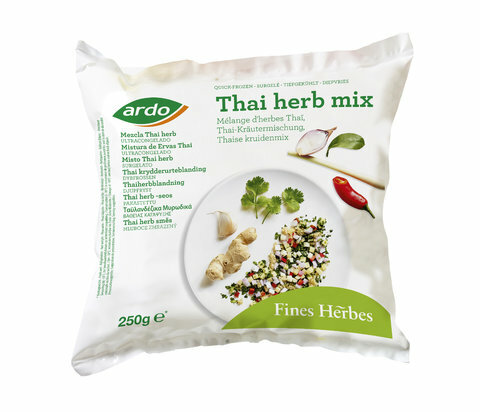 An outstanding seasoning for Thai dishes, soups, sauces and marinades. Without defrosting, use as fresh herbs. Put the closed bag immediately back in freezer.